I always replay the spelling bee scene from "Anne of Green Gables" in my head when I need to spell chrysanthemum. Has Genevieve been introduced to the book about the little mouse with the very long name? Love the milestones. Stormageddon (22 months) has figured out climbing things he's not ready to climb, which means I have to watch him like a hawk at the park, lest he start climbing onto things I can't get him down from. 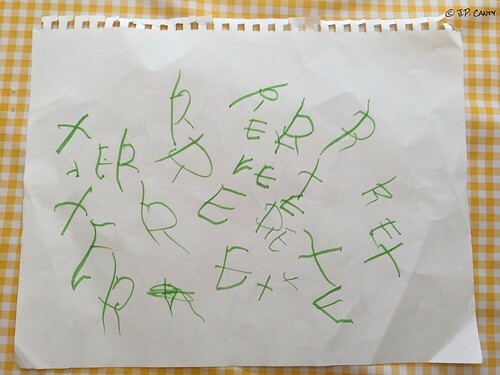 Little Man, on the other hand, is still working on writing but he's going to Kindergarten in the fall (he'll be 6 in November) He can write his own name but his brother's is a bit more difficult (and no, Stormageddon's given name is not Stormageddon). 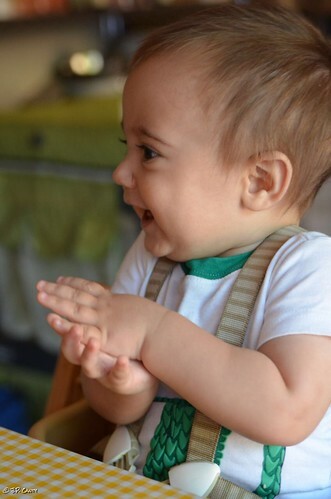 I loved the clapping stage. I love this - milestones are amazing & truly terrifying at the same time ... I have a French friend who has always gone by 'Vieve'. The French pronunciation of Genevieve is so pretty.